Item is a drawing of cross valve piping arrangements for tanks. 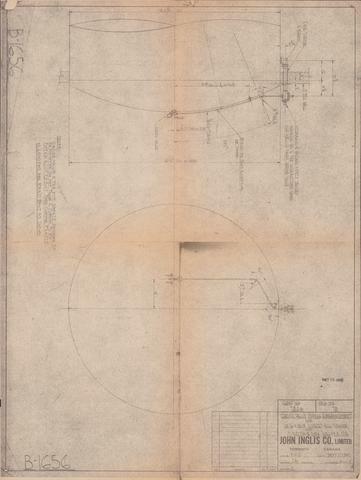 The drawing shows two views of the tanks with measurements for the piping. The drawing was produced by John Inglis Co. Limited for A. Keith & Son of Halifax, Nova Scotia.